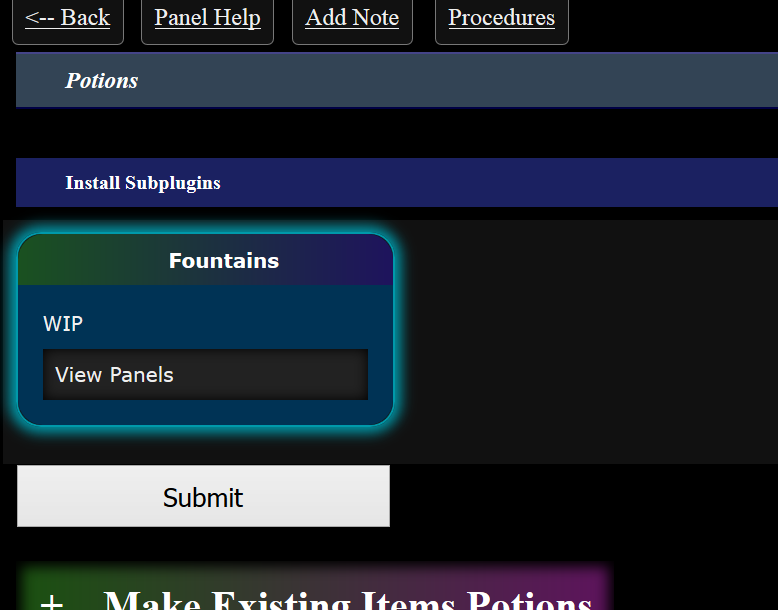 This plugin adds Fountains, which are a room fixture that have potion effects. Fountains are a subplugin of Potions. Go to the Potions screen to install them. Adding fountains. Should be straightforward. These are basically potions. Choose whether they affect characters or items, as well as their effects on those things. Like other fixtures, they can be hidden and there are events to unhide them. Like machines, they can have a certain number of uses before they quit working (-1 makes them have infinite uses). Dip [Item] into [Fountain] (shown above). Both of these actions are colored pink like other potion actions and appear within the same area. These should all be straightforward. 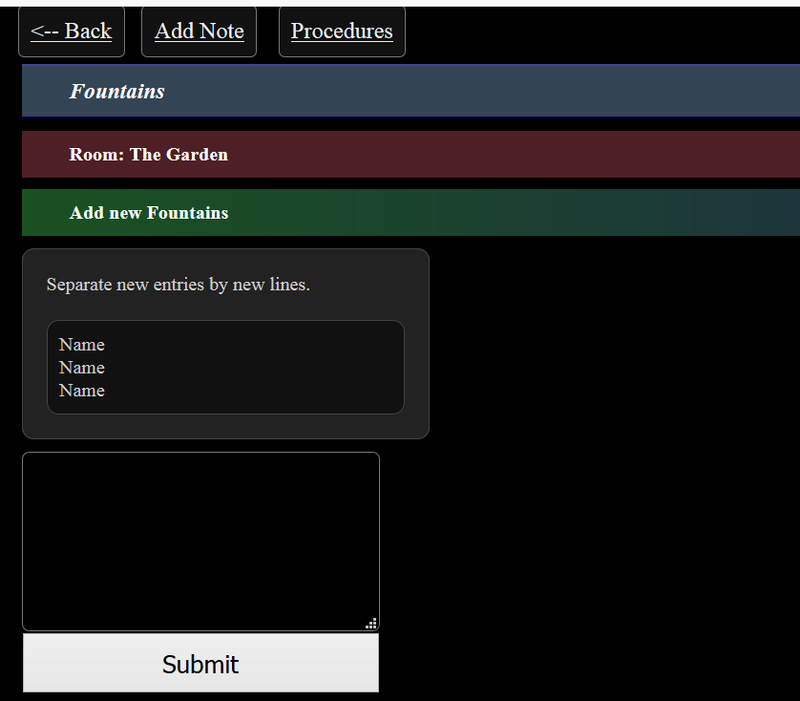 Note that if you're running Dip or Drink From events, there's a #fountid hashtag that can fill in for any of the "Fountain ID" boxes above and target the specific fountain being dipped into or drunk from.